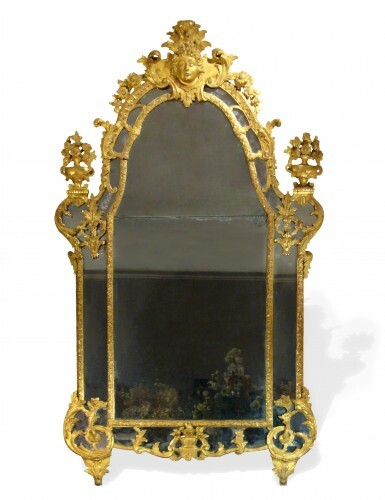 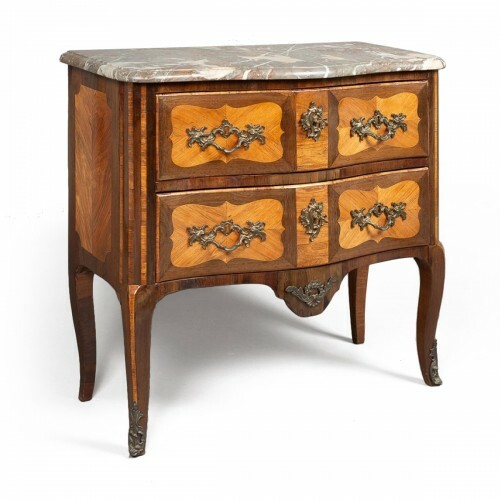 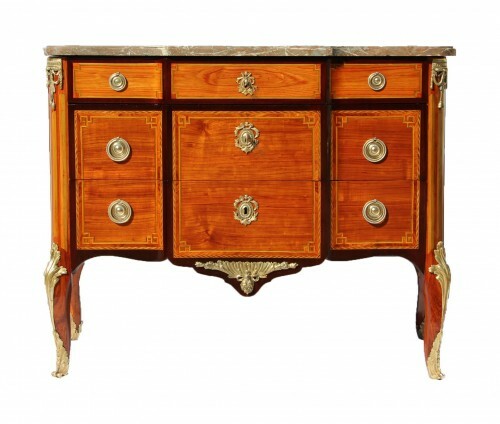 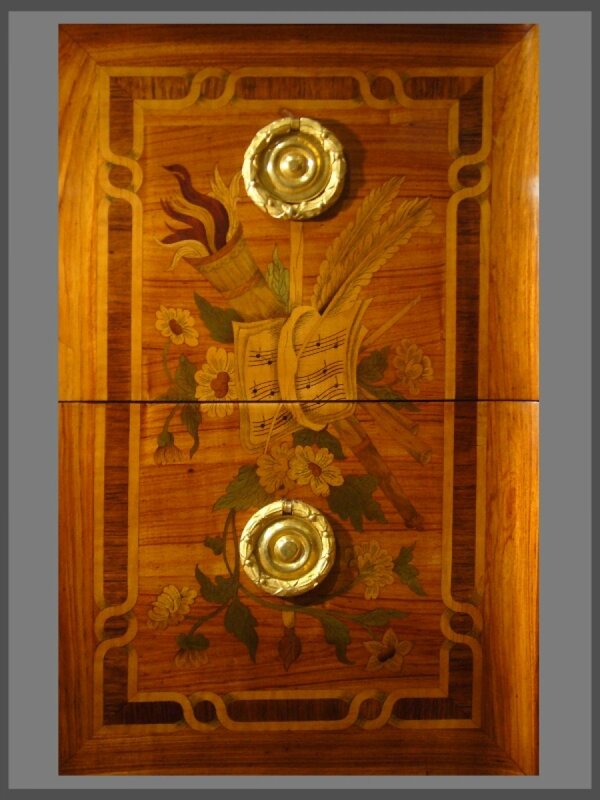 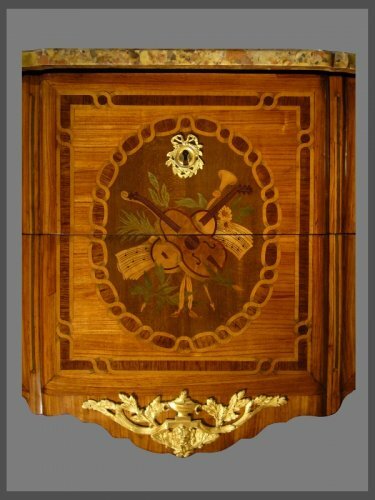 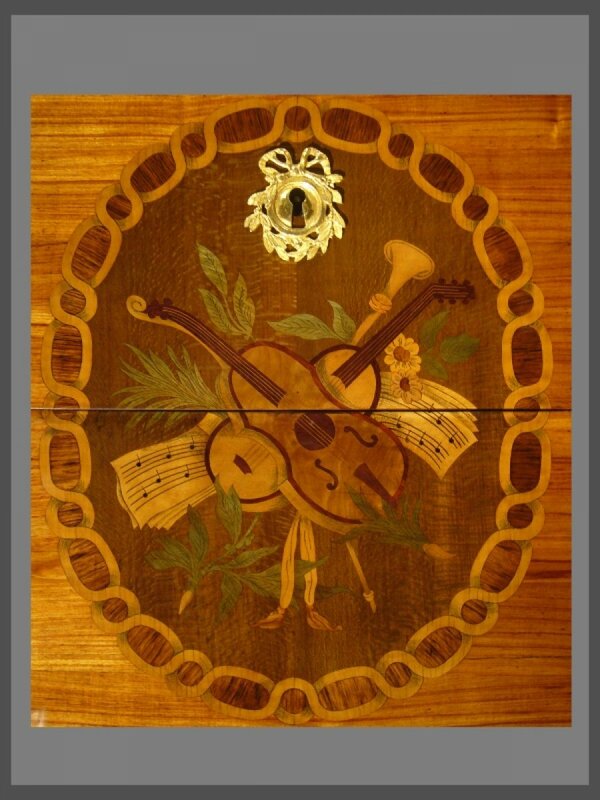 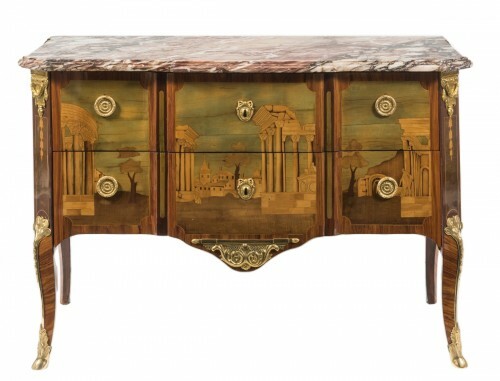 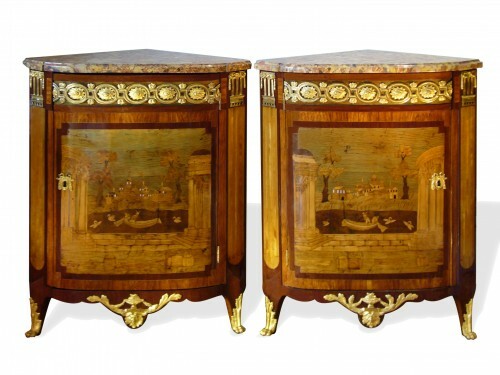 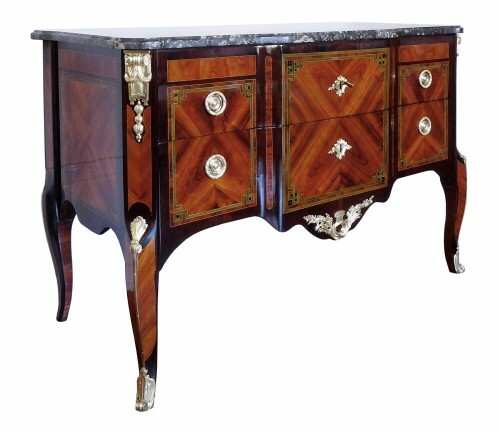 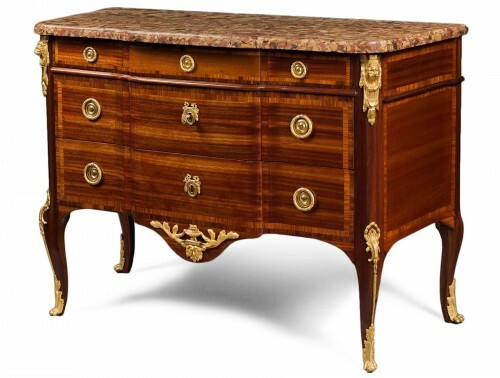 A Louis XV-Louis XVI Transitional ormolu-mounted marquetry breakfront Commode by Louis Noël MALLE and JME. The brèche d’Alep moulded marble top above a pair of two long drawers decorated sans traverse with a musical trophy and foliage, flanked by a similar marquetry of flowers and musical trophy, also decorated on each sides, on tapering legs with acanthus clasped paw sabots. 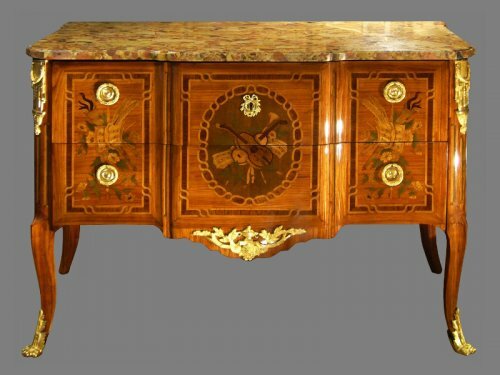 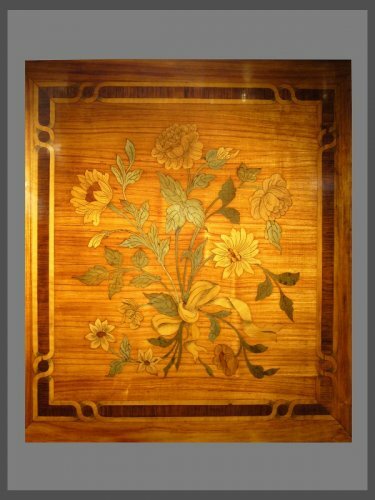 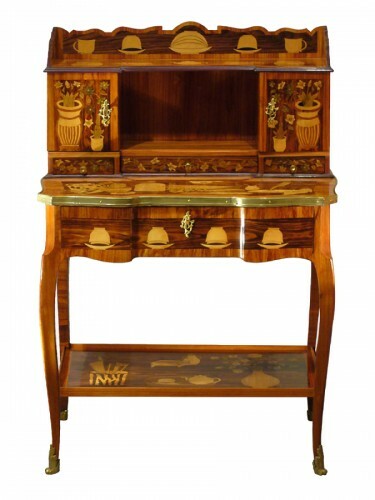 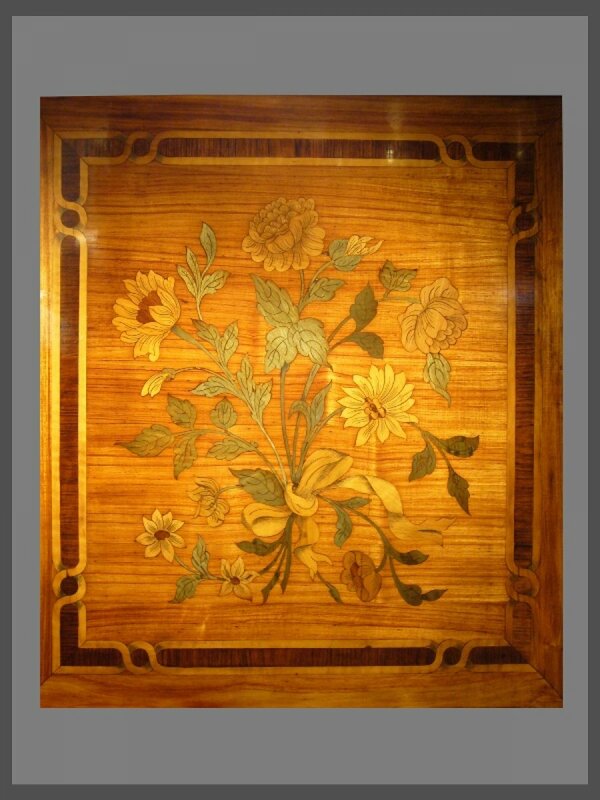 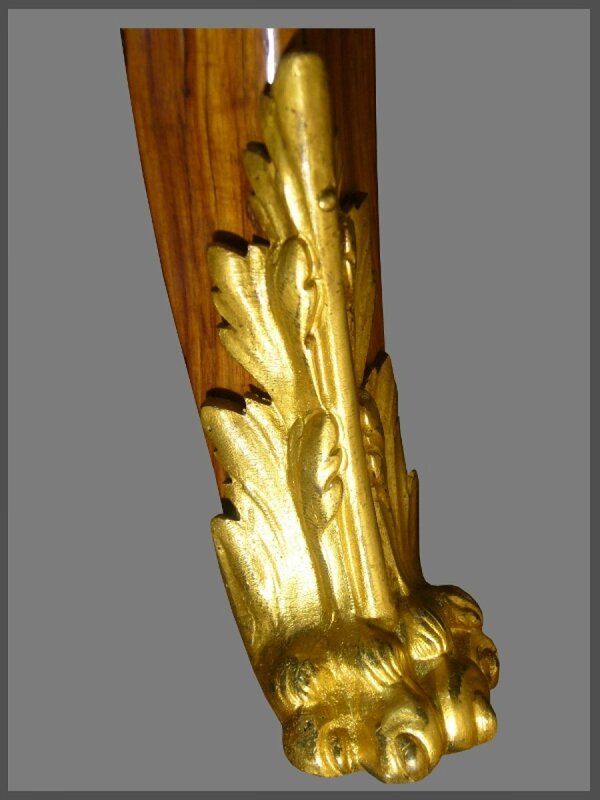 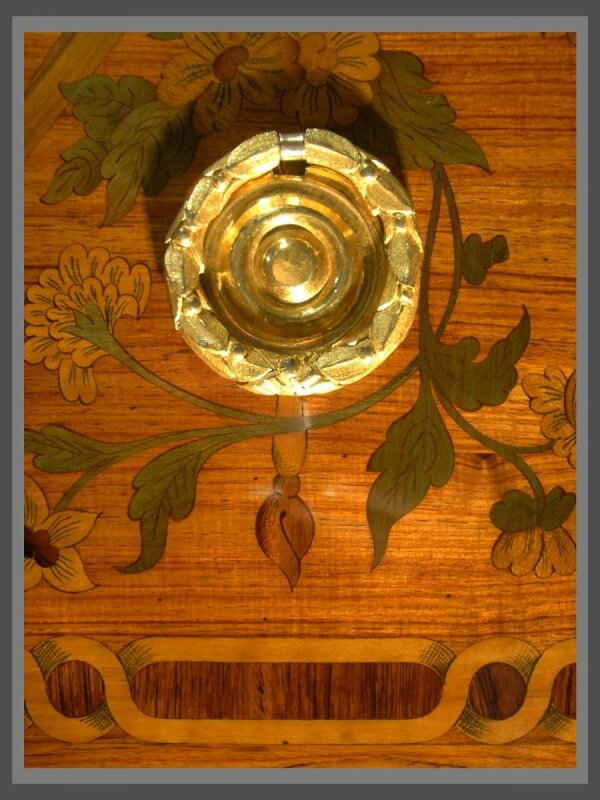 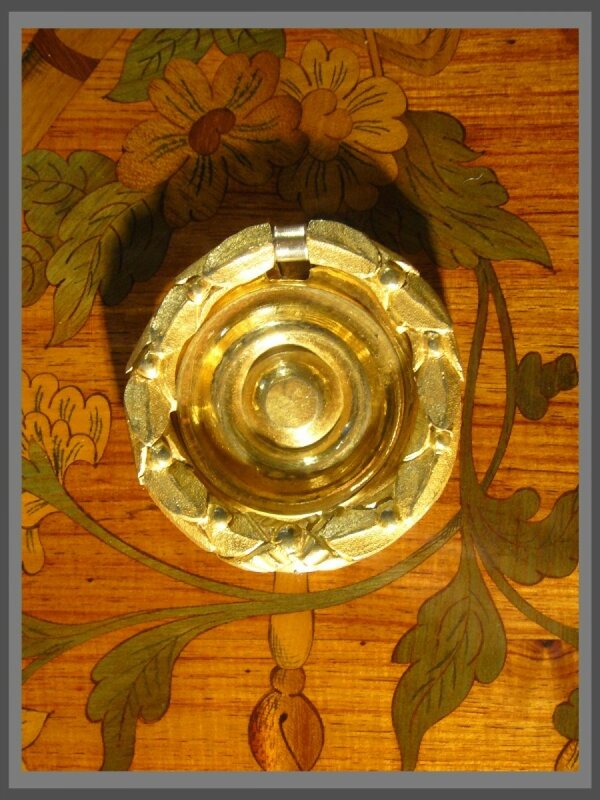 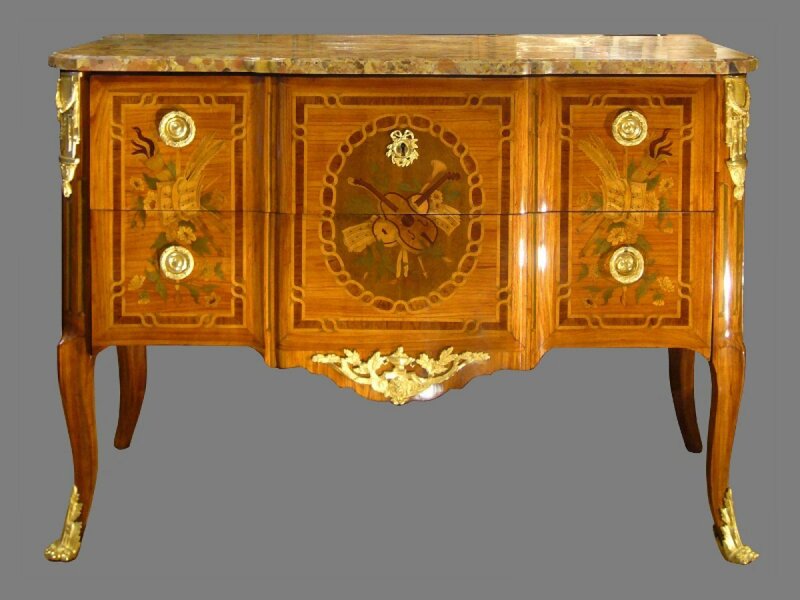 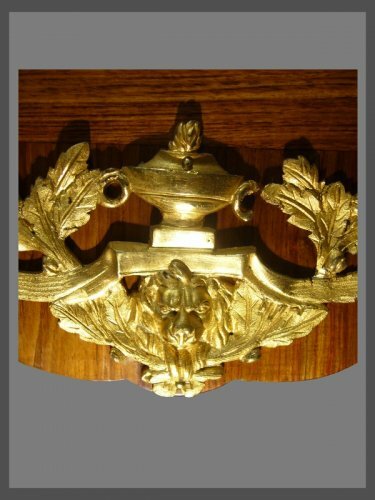 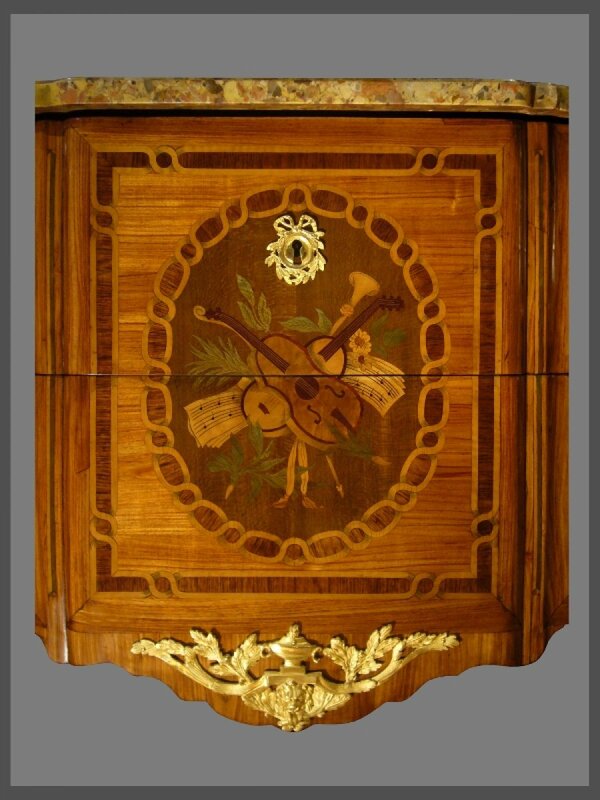 Pieces from this cabinetmaker can be seen in the Carnavalet Museum in Paris and the Frick Collection.